Click to viewWord just hit Kotaku Towers that THQ might be in the midst of shutting down a number of their studios. According to our sources the international publisher plans to shut down four to five studios this week including Texas-based developer Paradigm Entertainment and UK developer Juice Games. 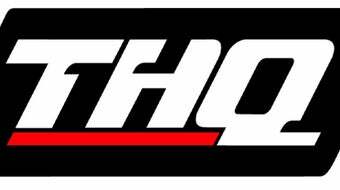 Currently THQ has 16 studios located in North America, Europe and Australia. If the cut-backs are true they would be the latest to plague the industry. Perhaps it's a sign of the current state of the world economy or just the typical pre-holiday layoffs. Juice Games is best known for their racing title Juiced and has a staff of 40. Over it's long history Paradigm created Pilotwings 64 and most recently Stuntman Ignition. We've contacted THQ for comment and will update as soon as we hear more. THQ has yet to respond with a comment, but their website for their studio system just had a massive update.While the site for THQ's studios still says that the company has 16 studios across the globe, the map now shows a mere 11 studios. Gone are: Paradigm, Helixe, Locomotive, Sandblast Games and Mass Media. Meanwhile according to Juice Games Wiki page, and one source, the more than 30 of Juice Game's 40 employees have been laid off. More updates to come as we roll toward THQ's financials later this week.